An energetic and seasoned marketing professional with 18 years’ local and global experience, Sarah brings both her intellect and a practical hands-on approach to her clients. Her broad range of experience has seen her deliver tangible ROI in both B2B and B2C environments, especially across the technology and retail sectors. 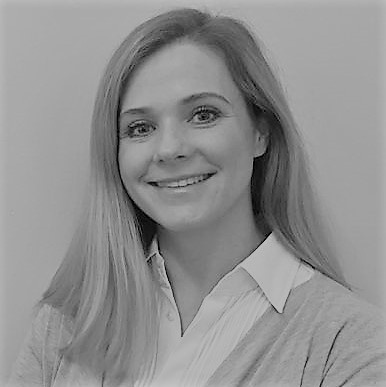 Highly personable with excellent business communication and relationship skills, Sarah excels at creating and delivering multi-channel marketing strategies with specific growth targets in place. She has an eye for detail and design and believes that a company’s marketing is a function that all employees play a role in, from the top down. Ethical, professional and curious, Sarah is a result driven and innovative team member. B2B and B2C experience in real life, executable and successful business and marketing strategies. Special interest in digital strategy and inbound leads, including Social Media management, Facebook advertising, e-newsletters, email marketing and blogs. Ability to effectively engage and manage external agencies and suppliers. Creative with a great eye for design and extremely detail driven. Strong interpersonal and communication skills – both up and down in organisational structure. Comprehensive B2B lead generation through multi channel approach including education, brand awareness and channel enablement. Introduced new lead nurturing strategies at the reseller level of Citrix’s sales channel – a notable result was an investment of R9000 resulting in 4 closed deals, the biggest of which totalled $1 million. Worked across the Sub Saharan region rolling out channel marketing programmes to distribution and reseller level in 20 countries. Developed and drove strategic relationship building activities within C suite and senior management level at customer base which saw an ROI of 75%. Brand refresh and complete overhaul of the online business’s commerce platform, as well as integration with business processes. Physical retail presence has been boosted by refresh in shop fittings and layout, as well as change in the product mix, and advertising strategies engaged. Drove both B2B and B2C marketing across Europe and Sub-Saharan Africa in 4 different roles. B2C roles included Point-Of-Sale, packaging, secret shoppers, national merchandising teams, above and below the line advertising and campaign experience with physical retailers. As well as national product launches and development of strategies for upskilling instore staff. Managed a marketing budget of over £20 million. B2B roles covered tech channel marketing (Vendor> Distributor> Reseller> Customer), creation and management of sales incentives, partner marketing and business growth plans. Lead generation and nurturing through the Symantec sales cycle via development of buyer personas, and communication strategies based on these customer preferences.